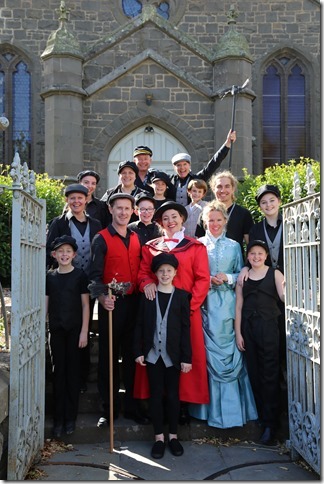 Mary Poppins 'family cast' members on the steps of the Bluestone Theatre. 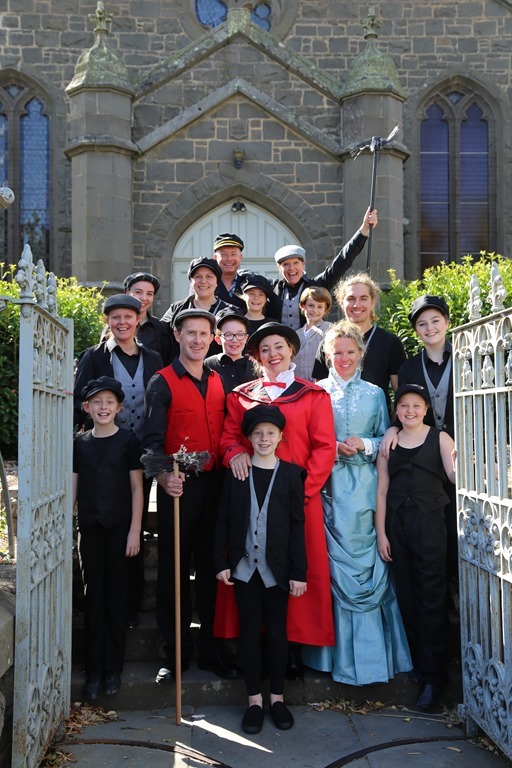 In a ‘perfect in every way’ coincidence, Sprout Theatre Company’s upcoming production of Mary Poppins the Broadway Musical boasts a host of performing families. 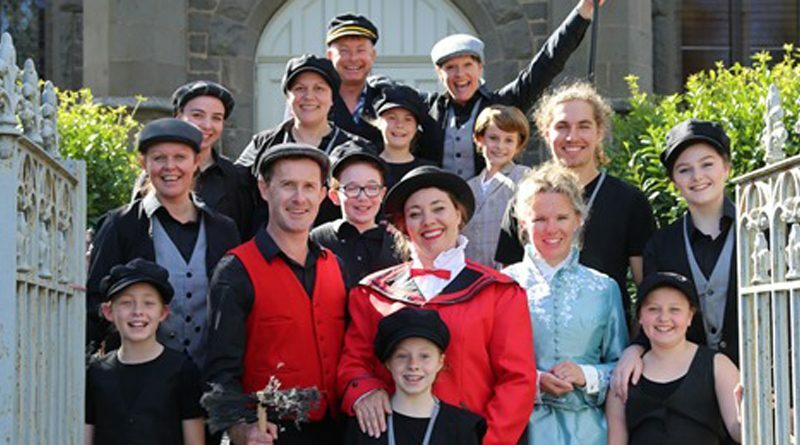 Artistic director Billy-Jo Royle’s vision was to bring high-quality family entertainment for locals, by locals. Billy-Jo’s vision was shared by Green Room and Helpmann Award singer Tiffany Speight who came on board to both perform as Mary Poppins and to act as a mentor for local performers. The dynamic duo soon unearthed some amazing talent, both amateur and professional, who all shared the same passion for community theatre. The surprising factor that came to light after casting was how many performing families joined the cast – some auditioning without knowing that other family members were also doing the same. “We have husbands and wives, uncles and aunts, children, cousins and siblings all performing together,” Billy-Jo said. Retired professional opera singer Tiffany Speight has the honour of having received a coveted Helpmann Award for her titular performance in The Coronation of Poppea with the Victorian Opera, the only time the opera company has received a Helpmann. 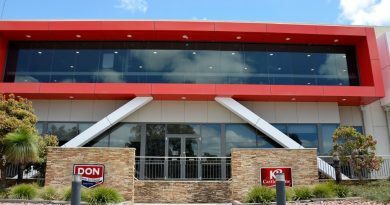 She agreed to join this production to act as a mentor to the rest of the cast, but the show is also a family affair for the Malmsbury local. “My husband David Harrod plays Bert and my daughter Izzy is in the children’s ensemble,” Tiffany said. “One mum, her daughter was auditioning and we heard her accent, and the director and I both said ‘do you do musical theatre?’ and she said ‘well actually I’m an ex tap dancer’, so we threw her into the show and her daughter’s got a little role too. The director’s daughter Emily also stars in the show, playing the lead for the season’s two Saturday matinee shows. Tiffany had been a wonderful mentor to Emily, who is on the threshold of starting a professional career in musical theatre. Tiffany said the beauty of the Mary Poppins story was that it was so relevant to our times, and for all ages. “There’s one thing that Mary says all the time and that is ‘Anything can happen if you let it’. 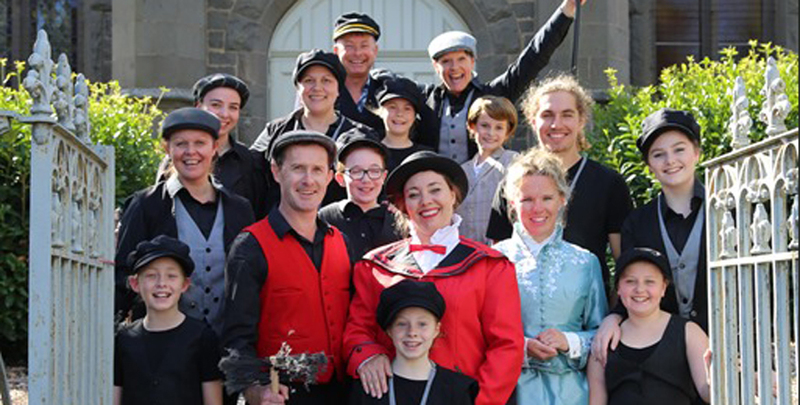 The Mary Poppins season runs from May 4 – 13 at Bluestone Theatre, 28 Hutton Street, Kyneton. 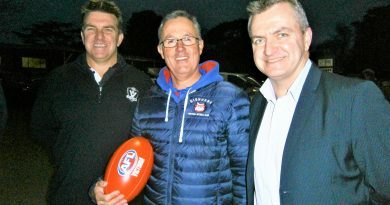 Plenty of enthusiasm: pictured at the $100,000 announcement are (from left) AFL Goldfields manager Rod Ward, Gisborne Football Netball Club president John Wood and AFL Victoria's manager Shayne Ward. The Ward brothers formerly played football and cricket at Gisborne. 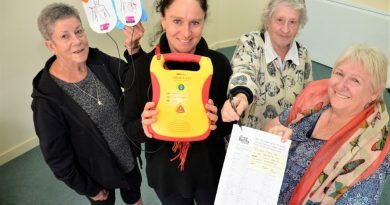 Community health nurse Bronwyn Grieve (holding a defibrillator) with CDCH volunteers Kaye Bourke, Joan White and Lyn Hall are supporting the petition for a public after-hours defibrillator.